After over a year of waiting and a disheartening failed connection, Kristen and Laura had a beautiful surprise waiting for them! Their courageous birthmother reached out to us and chose them to parent her son with just over a week to spare. It was a beautiful whirlwind to be had and on August 2, 2018, Kristen and Laura welcomed Jayden Isaiah into their hearts and lives. We are so happy for you and that all your dreams came true! Congratulations! 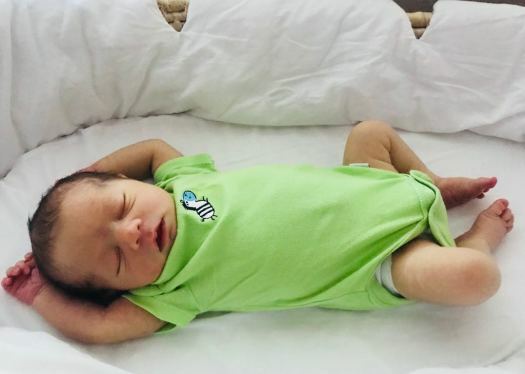 Clark Matthew was welcomed by James and Brian on July 28, 2018, after quite an adventure! 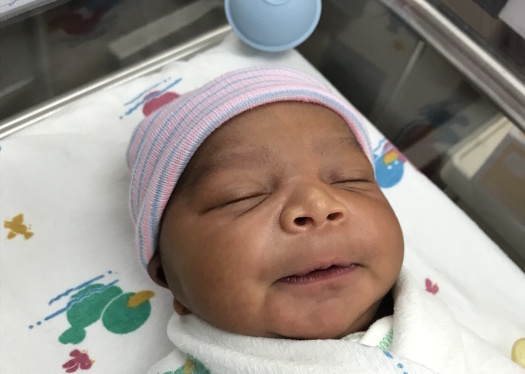 They traveled back and forth to the expectant mother's state and then after delivery, sweet Clark spent some time in the NICU. With the courage of the birthmother and the love and dedication by this couple, they all made it through to the end! James, Brian, and their daughter Reagan were able to welcome Clark home on September 29! Thank you to all for your courage and strength in this process. Congratulations on your beautiful family! At last, Danny and Taylor's love, little Pressley Inez, has come along! They say good things come to those who wait, but Danny and Taylor weren't expecting to have their perseverance tested to quite this degree. Through multiple failed opportunities, they remained firm in their belief that their family would grow through adoption. We are honestly in awe of the way they just kept showing up to each opportunity with hope and love. While there were definitely several moments along the way that tested them, now at their happily ever after, they know their daughter was worth the wait. 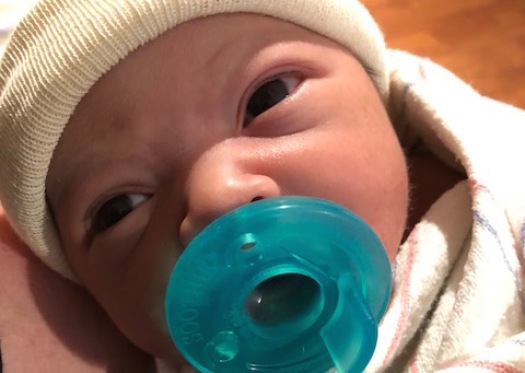 Their Adoptive Parent Coordinator, Jenee, Birthmother Coordinator, Nicole, and other members of the LifeLong team are so excited to finally celebrate the joyous occasion welcoming Pressley into the world and the LifeLong family! Congratulations Danny and Taylor, we are so happy for you! Congratulations David and Alan on the birth of their son Samuel on July 21st! These parents had some failed opportunities before they were connected with their brave birthmother in March. They knew their baby was out there and their amazing birthmother made her way to them. 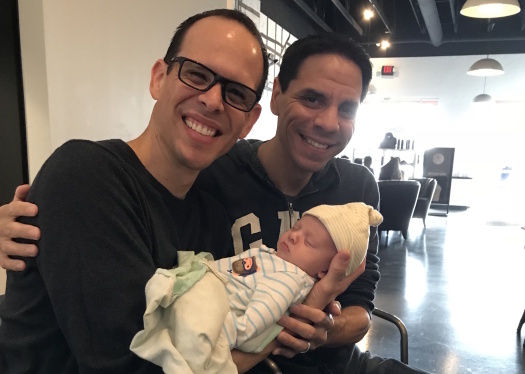 Alan and David had the opportunity to develop a secure relationship with their birthmother and were anxiously awaiting the birth of their son. After ten months, they were overjoyed to have Samuel in their arms. We commend their birthmother for her strength. Congratulations! Lukas and Mitch were early into their journey when they matched with their expectant mother. They began to develop a relationship with her over the course of three months leading up to the big day! 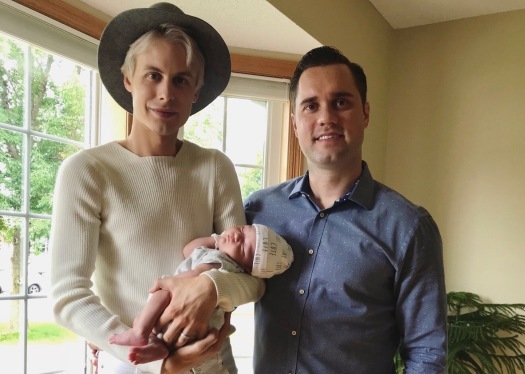 Through the ups and downs that adoption sometimes brings, Lukas, Mitch, and their courageous birthmother made a family complete on July 18, when Sebastian was born! 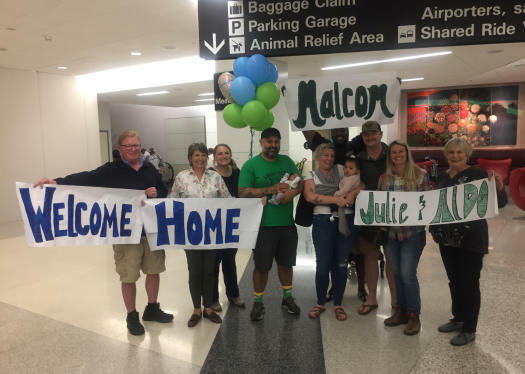 It was a joyful homecoming for this couple when their sweet boy was welcomed into the world. Congratulations Lukas and Mitch on the birth of your son, Sebastian! Julie and Aldo were a joy to work with and had a wonderful relationship with their expectant mother. The situation was a special one in that she requested we send the family a gender reveal! The relationship was mutual as they all moved forward with support and positivity. 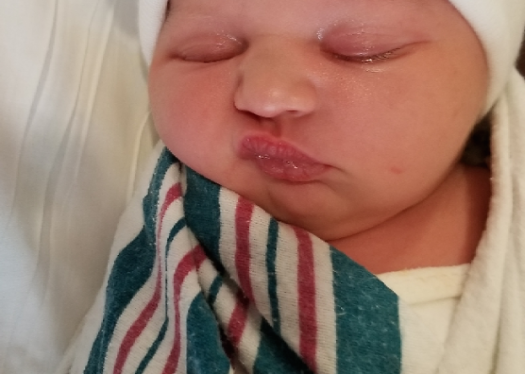 The family connected with her right away, they visited her in person, and they established a wonderful relationship leading up to delivery. We all celebrated sweet baby boy Malcolm Rocco and his new family when he was born on July 16. 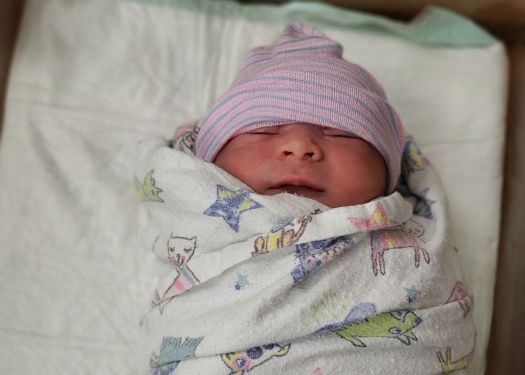 Congratulations Julie and Aldo on the birth of your son! Hannah was matched with her daughter's birthmom back in April of this year. They built a wonderful relationship with one another during those months. 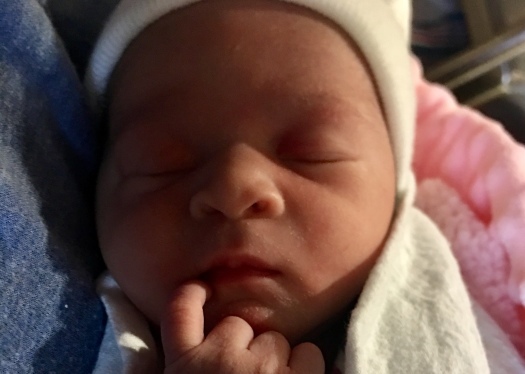 Her birthmother delivered a healthy, beautiful baby girl, Adalina Marielle, on July 7th. After Hannah had been caring for Adalina for three days, we were given the news that her birthmother had decided to parent. Heartbroken, Hannah brought Adalina back to her birthmother and then traveled back home. A few weeks later, Hannah texted Adalina's birthmom wishing Adalina a "happy one month." That's when things changed. It was at that point this courageous and incredibly strong birthmother asked Hannah to come back to Ohio because she knew Hannah was meant to be Adalina's mom. Hannah traveled back once again, this time with a different result. It was a really long road for Hannah, with many other failed adoptions along the way, but she never gave up hope. We couldn't be more ecstatic that things worked out for her! Jeff and Cade returned to LifeLong for their second adoption journey in 2016. 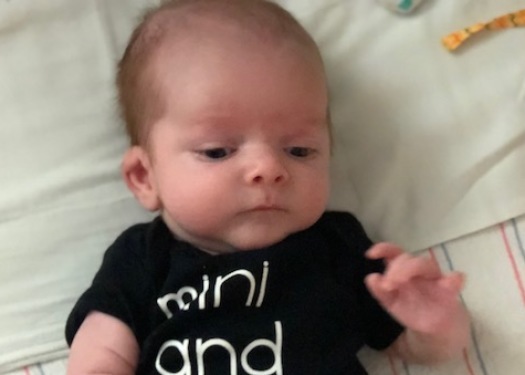 After a long and quiet 22 months, they were speedily connected with their birthmother who gave birth to their beautiful son Finnegan on August 15, 2018. With the help of their adoptive parent coordinator, Jenee, their family is complete! Congratulations Jeff and Cade on the birth of your son, Finnegan. We were blessed to be on this journey with you! This amazing and patient couple had an excruciatingly long journey, but they were dedicated to their dream of becoming a family. They maintained the hope that one day their life would change. Soon enough, the birthparents that were meant to bless their lives forever called LifeLong with the news that they were considering placing their son Roman Patrick. Roman's birthparents were making this choice together. They had contacted LifeLong months prior and decided to parent, but soon after he was born, they made the brave decision that placing Roman with Chris and Danny would be for the best. Chris and Danny immediately traveled to meet Roman's birthparents and have enjoyed every moment of having Roman in their lives ever since. Congratulations Chris and Danny! You are evidence that good things come to those who wait! John and Sophear connected with their birthmother 16 months into their adoption journey. What was a quiet journey turned into a joyful unfolding of a relationship as they began regular communication and built a relationship over three months with their daughter's expectant mother. Knowing that the ultimate decision was in her hands, they were scared, nervous, and excited, but they stayed hopeful. On August 31, they welcomed their daughter Hope into the world. Many thanks to this courageous birthmother who blessed this amazing family! Congratulations John and Sophear on the birth of your daughter! A little over a year into their journey, Rob and Matt were contacted by their amazing birthmother through the LifeLong website after she had seen their profile video and felt drawn to them. We connected them, and after a few short weeks they were working through the details of making this adoption happen! The family traveled to meet with her and she enjoyed meeting them in person. Rob and Matt continued to support her in the coming weeks as they moved forward together until sweet Hazel was born on July 9. Congratulations on your beautiful daughter, Rob and Matt! Ben and Rudy experienced many ups and downs in their emotional adoption journey. It was all worth it when they welcomed their son Liam on July 9th. 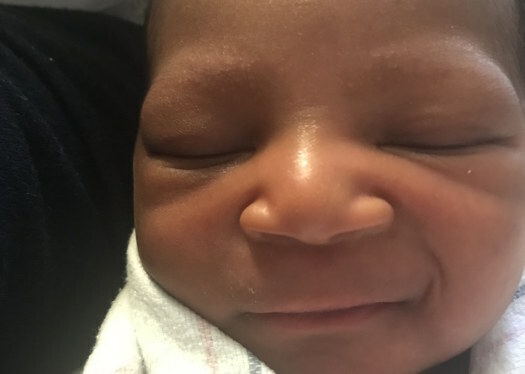 With the assistance of their adoptive parent coordinator, Melinda, they connected with their birthmother in April. They had experienced some setbacks along the way, but after eight months, they were celebrating little Liam's entrance into the world. We admire their brave birthmother who put her child first and gave these parents a most beautiful gift.